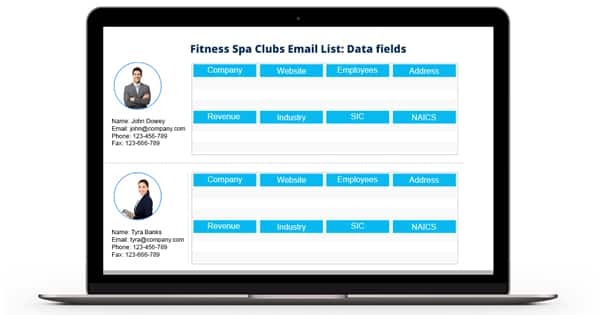 If you are looking to connect with health and fitness businesses such as spas, wellness clubs, fitness centers, gyms, and the likes or planning to market your products, solutions and services in this market, Blue Mail Media’s Fitness Spa Clubs Email Database can help you meet your marketing objectives. Our Mailing List of Spa Club Owners enables you to effectively implement your multi-channel marketing strategies and build stronger connections with your target audience using the medium of your choice. Blue Mail Media’s Database of Fitness and Spa Clubs can expand your outreach by leaps and bounds and unlock umpteen opportunities for marketers to grow their business. We have a well-established presence across the US, UK, Canada, Europe, Australia, North America and many other regions to help marketers without any regional barriers. Whether you wish to connect with your target audience via telephone, email or mail, our Spa Clubs Email List gives you access to all the needed information. Not only we offer pre-packaged Fitness Clubs Email List for your immediate marketing requirements but also we offer to customize the database based on your specific campaign requirements. Our clients have experienced a significant increase in their campaign response rate, conversion rate and returns on investment using our database. Get in touch today to know more!